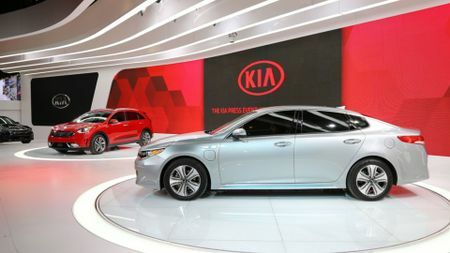 Kia revealed two new hybrids at the Chicago motor show this week, with the Optima PHEV becoming the Korean brand’s first ever plug-in hybrid. Due to be launched in the UK later this Autumn alongside the Optima Sportswagon estate – it will be a major part of Kia’s green future – which includes 11 new ‘Ecodynamics’ models and a $10bn investment by 2020. Powered by a 2.0-litre petrol engine that produces 154bhp, working in tandem with a much beefier electric motor, Kia is promising a 27-mile electric range, and a theoretical total range of 600 miles once you’ve exhausted both the Lithium-ion battery cells and the petrol tank. That kind of range, power output and electric capability should make it competitive with the best-selling plug-in hybrids right now; the Mitsubishi Outlander PHEV and Audi A3 e-tron. It should cost roughly the same too, with UK prices expected to land above the £30,000 mark. 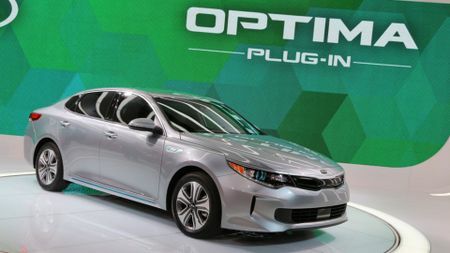 Although the overall shape is similar to the rest of the range there are telltale signs which set the Optima PHEV apart. The electric charging port nestled close to the front wing, a set of LED headlights (chosen for their electrical efficiency) and bespoke alloy wheels. An active shutter grille, plus a more streamlined set of bumpers, make it as sleek as a Tesla Model S.
Practicality was also a priority, so the battery pack gets stowed beneath the rear seats. You do lose the spare wheel well below the boot floor, but the generous load bay and 60:40 split folding rear seats remain intact. 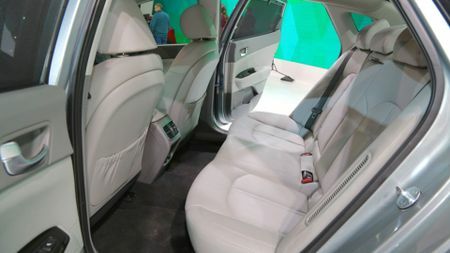 A saloon will never quite match the practicality of an SUV or a hatch, but the Optima PHEV does offer an awful lot of space for anyone sat in the back. There are as yet no exact details for the CO2 or fuel economy, as the car revealed in Chicago was a US-specification, but we’d expect a tailpipe emissions figure below 50g/km, putting it in the lowest road tax bracket, and fuel economy to be well above 70mpg on a mixed route. 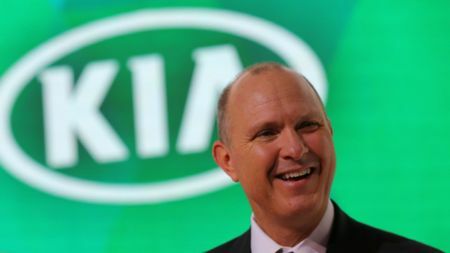 We spoke to Orth Hedrick, Kia’s U.S. Vice President of Product Planning, at the show to ask about what the business case is for hybrids and electric cars moving forward. He told us: “It doesn’t make much sense when oil is $30 a barrel” highlighting the havoc that the crashing oil prices is playing on green vehicle development for all major manufacturers in the states. Hedrick continued: “I think for most customers going from gas to electric was just too big a leap. 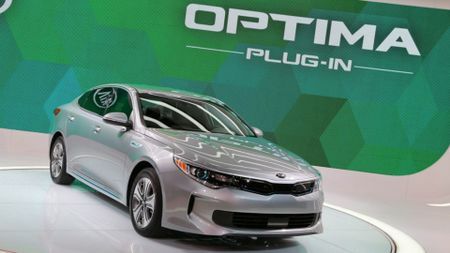 The role these vehicles play, it’s like a continuum, from a hybrid, to a plug-in, then to a full EV, and it’s about driving what you’re comfortable with” so the Optima PHEV still has its place, alongside some of the more performance-oriented models Kia is planning in 2016. 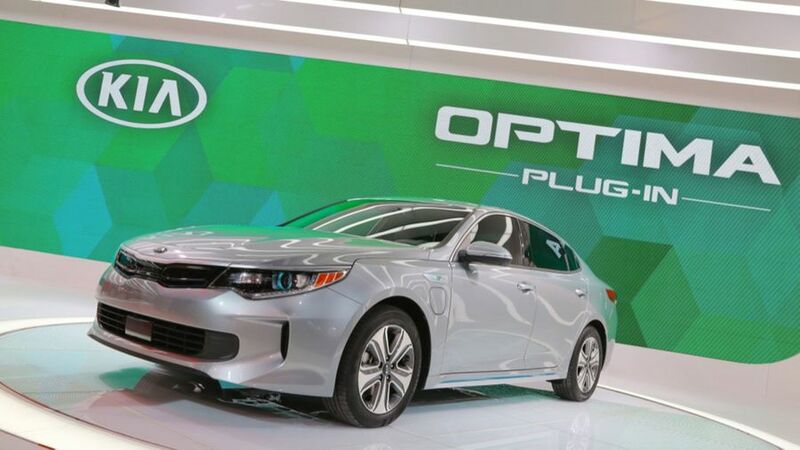 In the UK, Kia is planning to push the Optima into the fleet market by launching the PHEV (which will drastically reduce monthly running costs for business users) and the Sportswagon estate version at the same time, so we look forward to driving both these cars this Autumn. 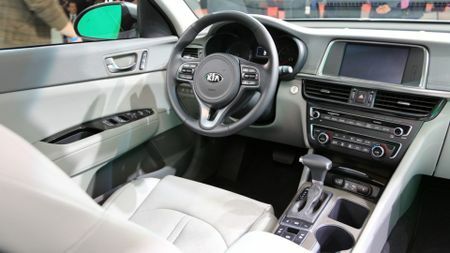 Interested in buying a Kia Optima?